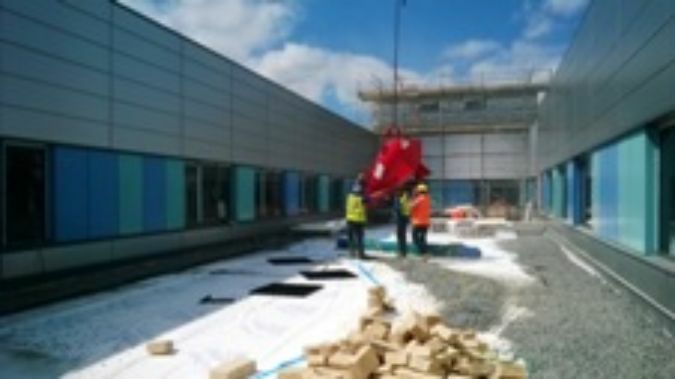 Green-tech has supplied the materials for a roof garden and landscaping at a new state-of-theart £23m emergency care centre at the Queen Elizabeth Hospital in Gateshead. 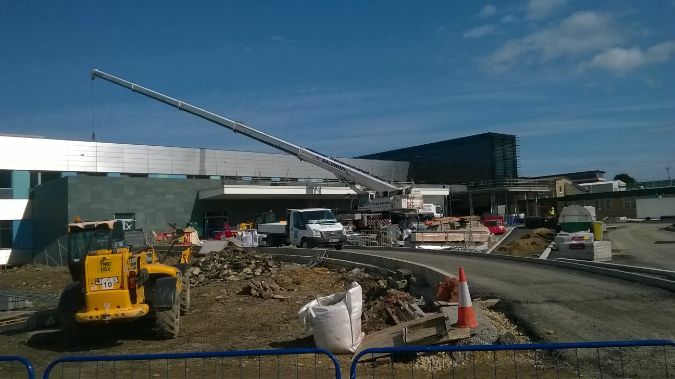 The new emergency care centre includes accident and emergency facilities, a 36 bed short stay unit, a new main entrance for the hospital and specialist diagnostic equipment. It proposes to be a one stop shop for the people of Gateshead and the surrounding area. 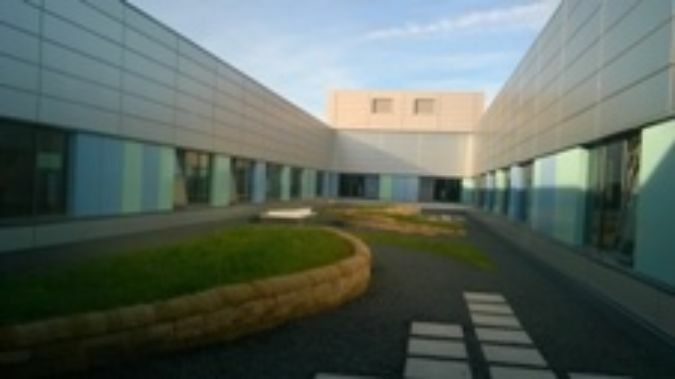 There was a requirement for a courtyard roof garden to offer a soothing view for the patients and visitors of the emergency care wards. The new courtyard roof garden, designed by Southern Green Architects was to provide colour and height with minimal maintenance, all within the load bearing constraints associated with a roof garden. 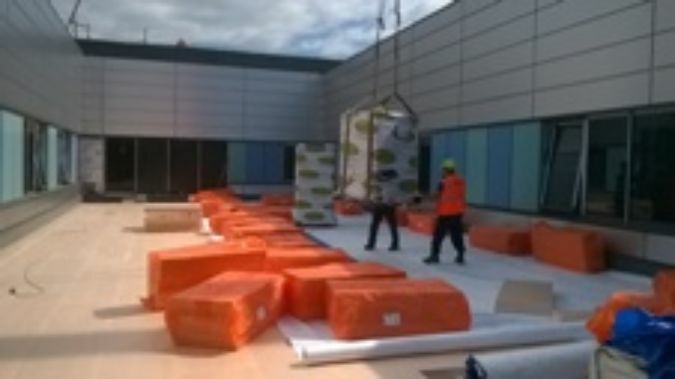 Grace Landscapes won the contract to provide the landscaping and enlisted the help of Green-tech to supply Green-tree Extensive roof garden substrate and gt Roofdrain which are the essential key products of a roof garden. Green-tech also supplied GRB Plus which provides ground protection and stabilisation and basalt chippings to offer a decorative finish. 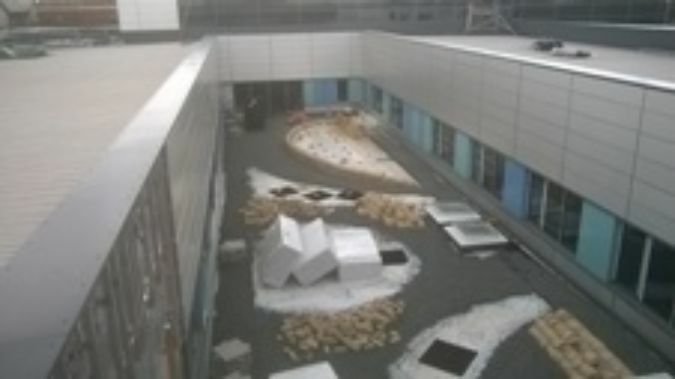 Green-tree Extensive roof garden substrate is ideal for green roof projects that require little maintenance. It is lightweight in texture and rich in nutrients which ensure quick plant establishment in harsh rooftop environments. gt Roofdrain provides an easy-to-install lightweight drainage layer and water reservoir to sustain plant growth. This is ideal for roof gardens where appropriate drainage is essential and the basalt chippings are lightweight and were used for decorative purposes within the landscaping scheme.